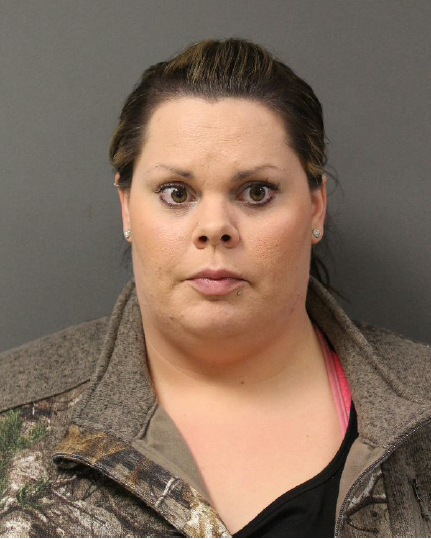 MOOSE LAKE, Minn. – A female Department of Corrections employee corrections officer in Moose Lake has been formally charged with Third Degree Criminal Sexual Conduct for engaging in the sexual exploitation of an inmate. According to the criminal complaint, Officer James Jungers of the Moose Lake Police Department was contacted by Investigator Gunderson of the MN Department of Corrections, Office of Special Investigations on June 15, 2018 to inform him that his office had begun investigating the possible sexual exploitation of an inmate. The suspect responsible for the sexual exploitation was identified as 29-year-old employee corrections officer Ashley Youngberg. The victim told investigators he was confused by her comments, but after the other inmate left the vicinity Youngberg approached him and began fondling him and kissing him. He stated from that day forward whenever he was alone with Youngberg they would fondle each other and kiss. The victim stated the encounters continued almost daily from approximately May 28, 2018 until June 15, 2018. According to the criminal complaint, after a sexual encounter in a small room located off the kitchen storage room, the victim immediately removed his underwear and tore strips of fabric from the crotch of his underwear in the hopes of collecting DNA evidence of the sexual assault. The victim later provided the underwear and a DNA sample to investigators which was sent to the Minnesota Bureau of Criminal Apprehension for testing. On June 20, 2018 Officer Jungers conducted an interview with Youngberg and obtained a DNA sample which was also sent to the Minnesota Bureau of Criminal Apprehension for analysis. In a report dated September 17, 2018 from the Forensic Scientist, McKenzie Anderson reported DNA from both Youngberg and the victim on the strip of cloth from the victim’s underwear. The felony charge of Third Degree Criminal Sexual Conduct carries up to 15 years in prison and/or a $30,000 fine. Youngberg is expected back in court on May 7.